Will County, Illinois, (population 650,000) may be one of the fastest growing counties in the United States, but it maintains strong connections to its past through historic preservation. Will County is located in northeastern Illinois, just south of Cook County. The county seat is Joliet, approximately 40 miles southwest of Chicago. Native Americans first came to the area 3,000 to 4,000 years ago, drawn by an abundance of water and timber, and the ease of travel afforded by the Des Plaines, DuPage, and Kankakee rivers. The county was established by an act of the Illinois legislature in 1836 from portions of Cook, Iroquois, and Vermilion counties. It was named for Dr. Conrad Will, a delegate to the first Constitutional Convention and a member of the Illinois legislature until his death in 1835. A small area of the county was given to Kankakee County when it organized in 1852. The first non-Native settlers of the area were pioneer farmers, many from New England and New York. Agriculture would remain a major industry in Will County for many years. The opening of the Illinois and Michigan Canal in 1848 brought commercial developers to Will County. It was overshadowed by the development of railroads and the 1900 opening of the Chicago Sanitary and Ship Canal, and by 1915, commercial traffic on the Illinois & Michigan had ceased. Another burst of industry came during World War II, when two ammunition plants were constructed in Will County. Spurred by recent rapid growth and development, the county has made a large effort to survey rural structures in the community. The Will County Rural Historic Structure Survey, a program of the Will County Historic Preservation Commission, has surveyed 3,700 structures on 850 sites since 1999. Reports on each of these surveys are available online and at local libraries and historical societies, as are brochures describing the survey process and Will County’s preservation program. 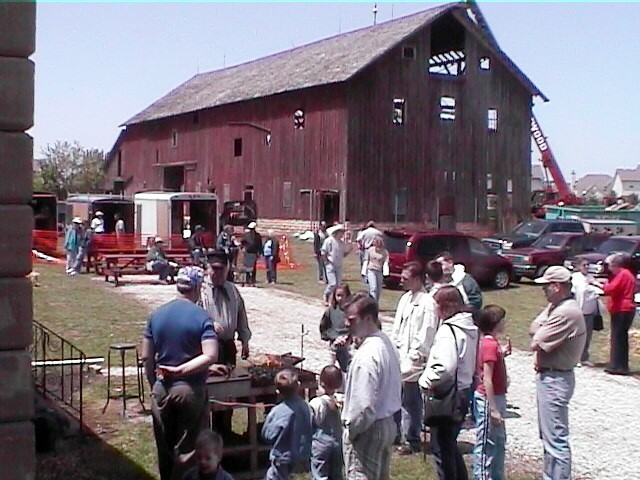 Will County is also dedicated to educating citizens and visitors about the cultural resources in the county. Recently, a video documentary was completed which explores the relationship between the constrution of the Illinois and Michigan Canal (a National Historic Landmark) and the rural legacy of Will County’s early farmers. The project brought Will County staff, residents, and historic preservation groups together to create an educational tool. Will County has also created a new partnership with the Heritage Corridor Convention and Visitors Bureau to develop a series of brochures highlighting historic sites in the county.